Taiwan's media has over the years dubbed the nation "Economic Miracle," a deserved title in the 1980s and 1990s, especially considering the small island has scant natural resources as minerals and fossil fuel. But Taiwan's economic might has been undermined on many fronts by China's market liberalization and globalization, to have turned China into both trade partner and rival. However Taiwan still holds its own in the fastener sector, which has developed sustainably for over five decades to make the island the world's second-largest supplier of such products by quantity only next to China, partly due to suppliers' efforts on enhancing value and partly to a well-developed, well-integrated domestic supply chain. Fastener production took off in Taiwan during the Vietnam War in the 1970s, when the U.S. military began outsourcing large quantities of fasteners from the island for lower costs, hence laying the foundation to drive Taiwanese suppliers to their current state of development in the global market, primarily due to such considerable demand having motivated upgrading production capability and capacity through R&D for production technologies and equipment, to meet strict military requirements. The past few decades have seen operators increasingly upgrade production from low-end fasteners to mid-to-high-end products that must meet more stringent standards of strength, safety and functionality, with the industry now composed of over 1,250 manufacturers and subcontractors, 40% of which cluster in Taiwan's southern cities of Tainan and Kaohsiung to contribute around 70% of total output. Fastener production is a striking contributor to Taiwan’s export-driven economy. According to the latest statistics compiled by Metal Industry Intelligence (MII), a Taiwanese market research department under Metal Industries Research & Development Centre, a semi-official R&D institute, the industry's overall output reached NT$123.87 billion (US$4.12 billion) in 2013, compared to NT$95.15 billion (US$3.17 billion) in 2006 and NT$112.37 billion (US$3.74 billion) in 2010, with export value and volume of NT$115.2 billion (US$3.84 billion) and 146.1 million tonnes, respectively. Operators' efforts on moving upmarket has borne fruit as shown by the unit price of Taiwan's exported fasteners averaging NT$78.8 (US$2.62) per kilogram in 2013, significantly growing from NT$65.9 (US$2.19) in 2006 and NT$45 (US$1.5) in 2002. 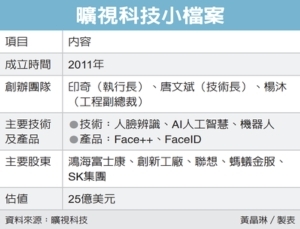 MII predicts the industry's output and exports to amount to NT$124.38 billion (US$4.16 billion) and NT$115.67 billion (US$3.85 billion), respectively, in 2014, and NT$124.73 billion (US$4.15 billion) and NT$116.0 billion (US$3.86 billion) in 2015. The average per-kilogram export price is estimated to hit NT$79.5 (US$2.65) and NT$80 (US$2.66), respectively, in the said years. Taiwan's fastener products are not just sold in box-type wholesalers for DIY users, but also widely used in industries as machinery, construction, automotive, watercrafts, wind-power generation, aviation, medical equipment, and precision electronics. Many of Taiwanese fastener makers have been devoted to high-strength bolts, nuts and screws for car production. Another key to Taiwan's success in the industry is its relatively small size to enable industrial clustering in southern Taiwan, which helps achieve convenient, cost-effective logistics as well as integrated supply chain to sustain development. Also contributing to industrial success is the locally-available upper supply-chain of steel and wire rods, of which the most influential is the Kaohsiung-headquartered China Steel Corp. (CSC), Taiwan's largest domestic steelmaker and wire rod supplier by size. CSC boasts integrated production, including blast furnaces, hot and cold-rolling lines, annealing and pickling equipment, to turn out various low and medium carbon alloy steels for cold heading and cold forging, lead-free patenting steel wire rods, high carbon steel wire rods, low-alloyed steels for cold heading wire rods, and spheroidized coils, with production conforming to ISO-9001, TS16949, JIS Mark, QC080000, RoHS and REACH to measure up to international standards as JIS, SAE and ASTM. CSC (took part in Taiwan International Fastener Show 2014) plays a proactive role in leading development of Taiwan’s fastener industry. To help local fastener makers interested in exploring higher-end markets, CSC has worked out many value-added materials, such as A286 nickel-based high-performance alloy to make bolts for aircraft engines and components; SCM435-grade steel for high-strength automotive bolts; and CH1T and CH1A, extra low carbon cold heading steel for precision fasteners. CSC has also developed high-precision nuts and screws of titanium alloy for Apple Inc.'s supply chain of iPhone 6, helping boost Taiwan's image as world's top-end supplier of miniature, lightweight titanium fasteners. 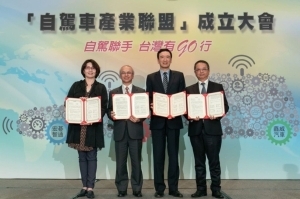 To further boost Taiwan's fastener industry to improve overall operational efficiency, CSC just signed an agreement with Taiwan Institute of Fastener Industry and some 20 fastener companies to develop a cloud for Taiwan's fastener manufacturing services. 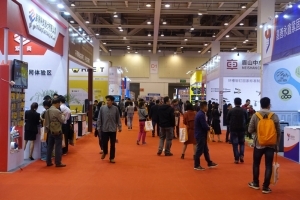 The platform, developed jointly by CSC and domestic IT firms and universities, is designed to help the industry with business matchmaking, and enhance exchanges of industrial know-how and technologies and full-blown supply chain management to better promote Taiwan-made fasteners worldwide. Other wire rod suppliers in Taiwan include Quintain Steel Co., Ltd., Feng Hsin Steel Co., Ltd. and Lung Ching Steel Enterprise Co., Ltd. among others. Production of fastener manufacturing equipment is vital to the fastener industry, with development mainly led by the island's big two suppliers, Chun Zu Machinery Industry Co., Ltd. and San Shing Fastech Corp.
Chun Zu was spun off from the machine manufacturing division of Chun Yu Works & Co., Ltd., one of Taiwan's oldest fastener makers, in 1973 to develop, manufacture and market fastener production machinery, including 5-dies bolt and parts formers, threading machines, rolling dies and tools, 2-die 2-blow cold headers, heading machines, and cold forging machines. 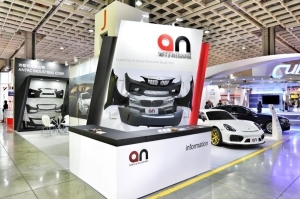 The company commands a 55-60% share of the South American market, and has as client MMF Industries, Ford's contract supplier of automotive fasteners. Chun Zu's machines are generally noted for high automation, productivity and easy, computerized adjustability, coupled with quick die change systems, optional 7 dies, additional clamps, related apparatus to help enhance production efficiency and cut defect rates. 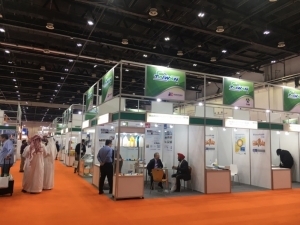 While filling about 10% of global market demand for nuts a year as the world leader, San Shing, whose annual nut output exceeds 75,000 tonnes, is also a major supplier of nut forming machines, nut tapping machines, bolt formers and nut sorting machines. First exposed to the sector in 1968, the maker volume made its first independently developed nut forming machine. 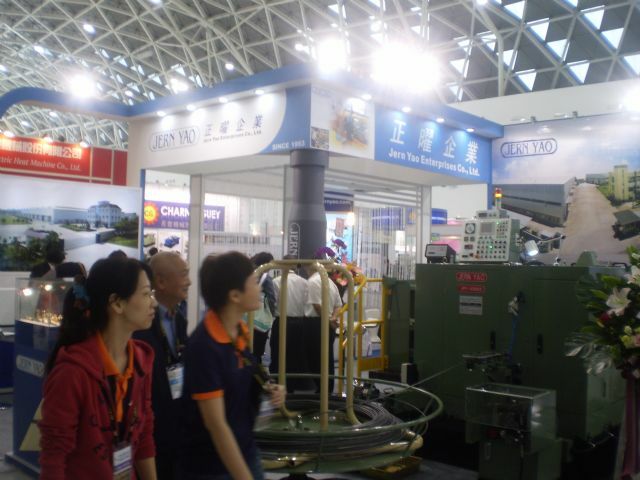 San Shing also makes nuts, screws, bolts, tooling, dies and wires as an integrated supplier. 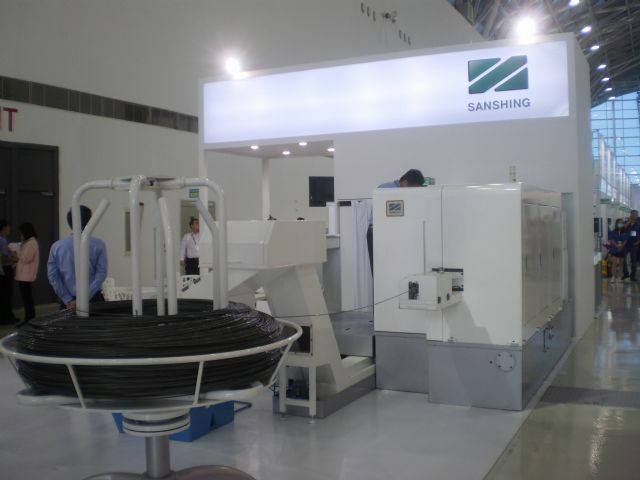 San Shing is Taiwan’s top-end manufacturer of nut forming machines, as well as world’s largest nut supplier. Tainan-based Jern Yao Enterprise Co., Ltd. also supplies nut formers, as well as blind rivet assembly machines, secondary processing machines for special nuts, automatic thread rolling machines, bolt threading machines, bolt slotting machines, and heading machines for bolts and screws. 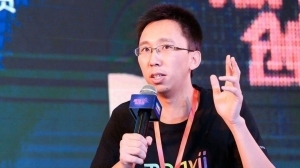 Despite being a young maker, Jern Yao employs skilled engineers and state-of-the-art software like Deform 2D & 3D to offer customers not just high-performance machines, but also value-added services from product development, total design and tool analysis, to emerge as a top-level supplier. 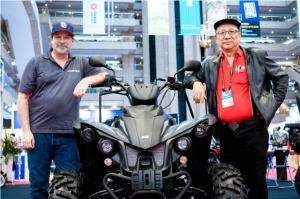 Taiwanese fastener suppliers rely on such local makers to stay competitive globally, for a reliable, easily accessible supply of economical, high-performance, homegrown machines can make a difference in filling especially custom orders. Jern Yao’s nut formers are increasingly sought-after by local fastener makers due to excellent performance and friendly prices. Chun Yu Works & Factory Co., Ltd. is known for tapping the global supply chain of fasteners for high-speed railway construction. Founded in 1944, Chun Yu is Taiwan's first and only fastener maker certificated by IRIS (International Railway Industry Standard), having supplied railway fasteners to Taiwan's High Speed Railway Corp. and Japan's Shinkansen on the OEM (original equipment manufacturing) basis. The maker is also noted for being Taiwan's first fastener maker certified to meet TS16949 standards in 2003. 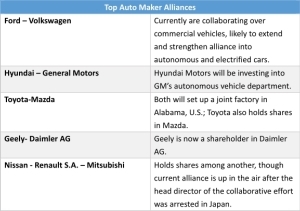 Over one-third of the company's output is delivered to carmakers and related subcontractors globally, with PSA, Honda, Daewoo and Yulon being customers. 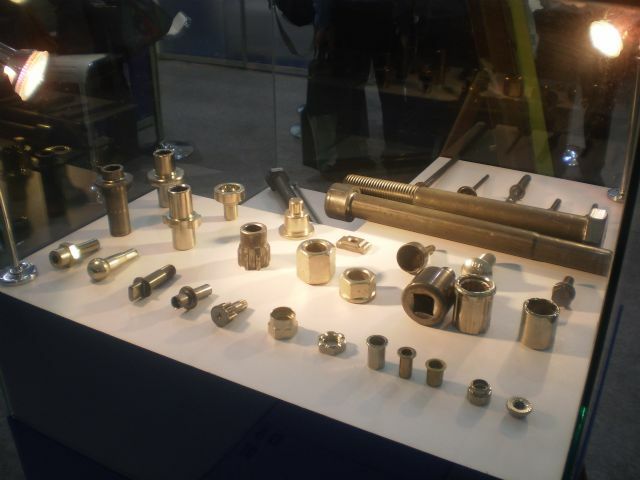 Fasteners for high-speed railway construction are among Chun Yu’s major product offerings. 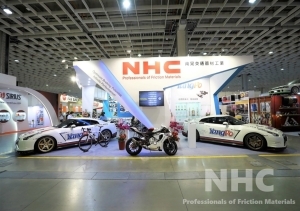 Founded in 1973, Ho Hong Works Co., Ltd. is also a world-class supplier of automotive fasteners. 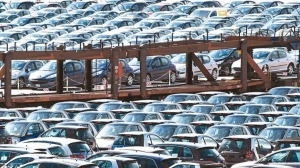 It emphasizes quality control such as PPAP (Production Part Approval Process), which is vastly used in the auto industry to measure qualitative consistency. 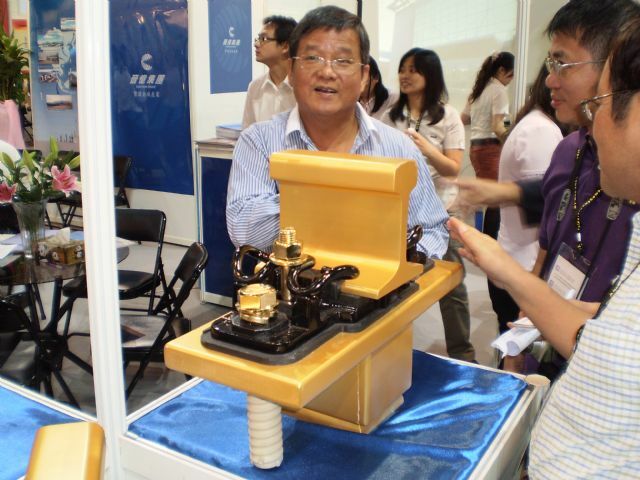 Just like Chun Yu, the veteran maker has also established an A2LA (American Association for Laboratory Accreditation)-accredited QC lab at its 180,000-square-foot factory to guarantee quality. This has helped the company effectively keep defect rates to sub-0.2% on average over the past decades. 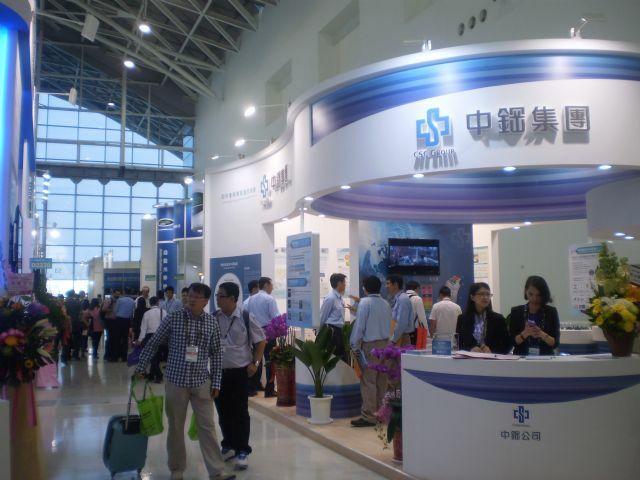 A fastener maker who has diversified into medical applications is Taiwan Shan Yin International Co., Ltd., having crossed over from motorcycle and automotive fasteners into dental supplies and implants for over five years. 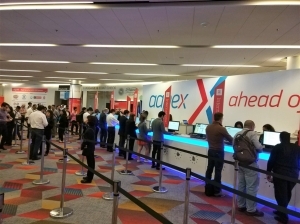 The company has set up a microbiology laboratory at its factory to research and study dental implants, and joined hands with a medical supply firm to promote such products worldwide. 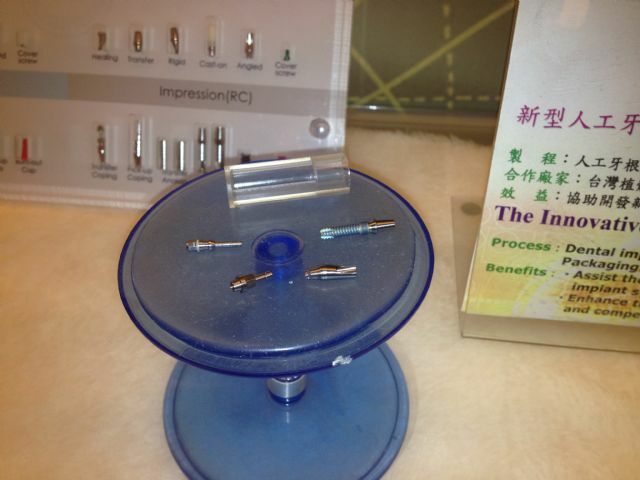 Dental implants are regarded as a potentially strong drive for Taiwan’s fastener output value. Two local fastener makers are betting on considerable business opportunities in the aerospace industry, with new aircraft production estimated by global market researchers to exceed 30,000 units in the next two decades. Jau Yeou has also upgraded production from screws of low carbon steels through stainless steel screws to quality-approved fasteners for aircraft production ever since the Taiwanese government carried out its aerospace fastener development project in 2004. In 2006 the company passed the AS9100B quality certification established in the global aerospace industry, as well as NADCAP (the National Aerospace and Defense Contractors Accreditation Program) certification. It is also Taiwan's first firm certified by AS9120A to distribute, sell aircraft parts. Despite the fluctuating state of alternative energy generation that relies often on governmental subsidies, with Taiwan's government having decided to set up 600 offshore wind turbines with 4200MW in capacity by 2030 to create business opportunities worth NT$500 billion, Boltun Corporation and Fang Sheng Screw Co., Ltd. have worked out large-sized wind turbine bolts and are assisted by local R&D bodies to seek cooperation with tier-1 companies worldwide, distributors and traders in the U.S. and European countries, to target global customers as Gamesa, Vestas, GE and Clipper. 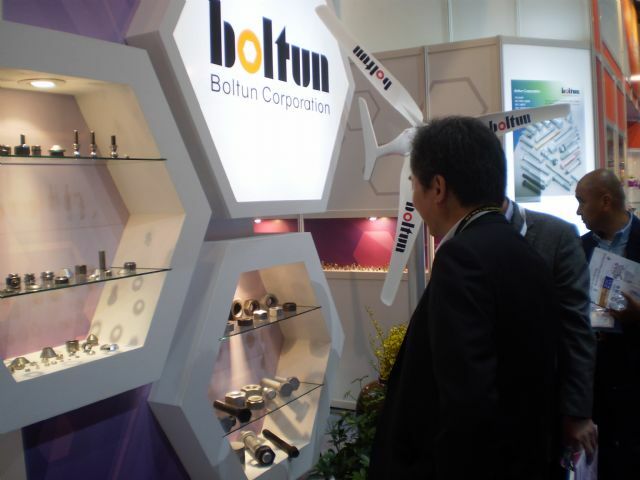 Boltun is one of only a few suppliers of fasteners for constructing wind turbines in Taiwan. Boltun has reportedly acquired a foreign, large-sized fastener firm with long history and strong reputation across Europe this year, which would further leverage Taiwanese fastener industry's global competitiveness in the short term. 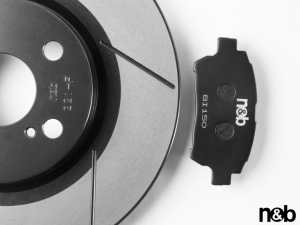 Sheh Fung Screws Company, also known as Sheh Kai Precision, is a maker noted for adopting advanced technologies to advance production efficiency. The ISO-9001, QC-080000, ISO 14001 and CE-certified maker is automating production and applying ERP (enterprise resource planning) systems in daily operations, indicating that applying ERP is part of its effort to realize digital and computerized management for improved efficiency, emphasizing that despite being costly, the system has paid off to greatly enhance management efficiency to generate more profits. Founded in 1978, Sheh Fung was first ranked among Taiwan's top- 1,000 enterprises by a local market research institute in 1989, and then further advanced to the No.707 spot in 1992. 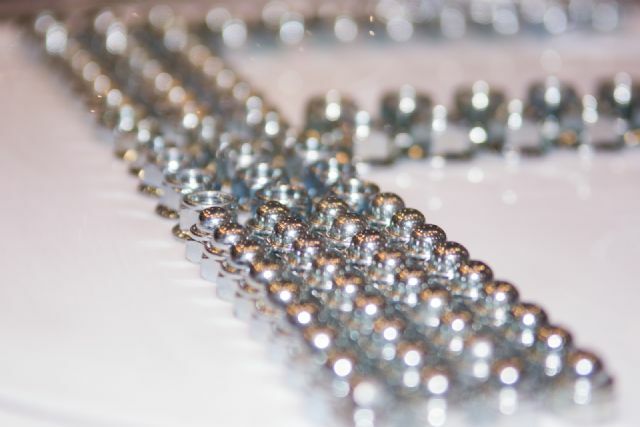 The Taiwan-listed maker supplies stainless steel screws, chipboard screws, decking screws, drywall screws, self-drilling screws, self-tapping screws and Kaitex coating screws, mainly for construction, and commands 0.5% share of the global market for fasteners. 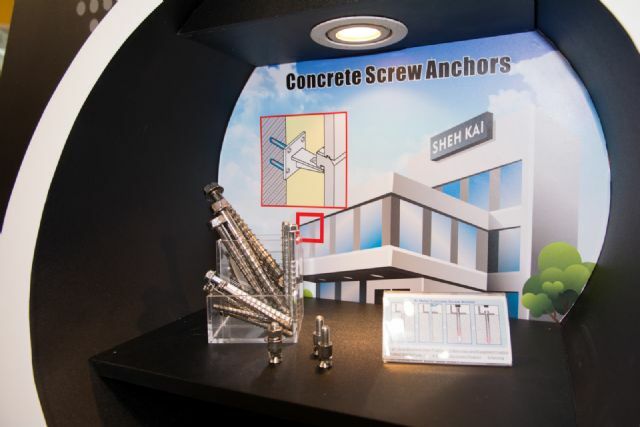 Sheh Kai Precision is a large-sized Taiwanese supplier of screws for construction. Chong Cheng Fastener Corp., established in 1989, is Taiwan's first fastener maker to introduce automatic warehousing equipment, motivated mainly by the transition after the global financial turbulence in 2008 that buyers are increasingly prone to place rush orders to avoid over-stocking. Chong Cheng operates a modern factory across 15,000 square meters in Tainan City, southern Taiwan, turning out around 600 tonnes of fasteners of carbon steel, stainless steel, copper and aluminum, a month, all meeting DIN986, DIN1587 and DIN917 standards to be well received by buyers from North America and Europe.